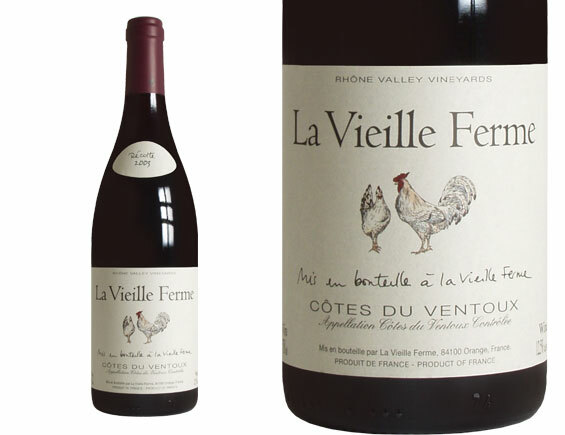 Wine Fads – Where next? 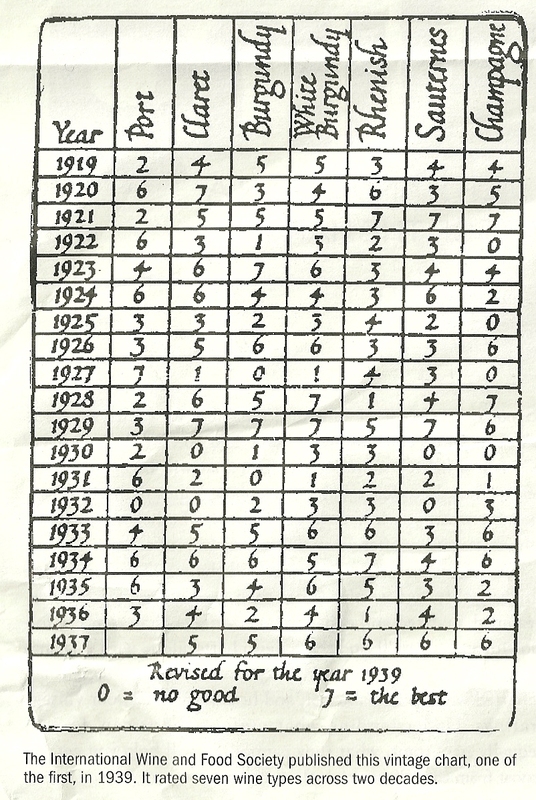 I just found this 1939 Vintages chart in a magazine. Very cool. But not what I expected. Nobody rates wines anymore on a scale of 0-7 but don’t be surprised if I start to. Also, presumably these were the top wine regions of the world in 1939. Interesting. I didn’t even know one of them without using Al Gore’s “Internet” (the words Internet and Al Gore are used with permission) to look it up. 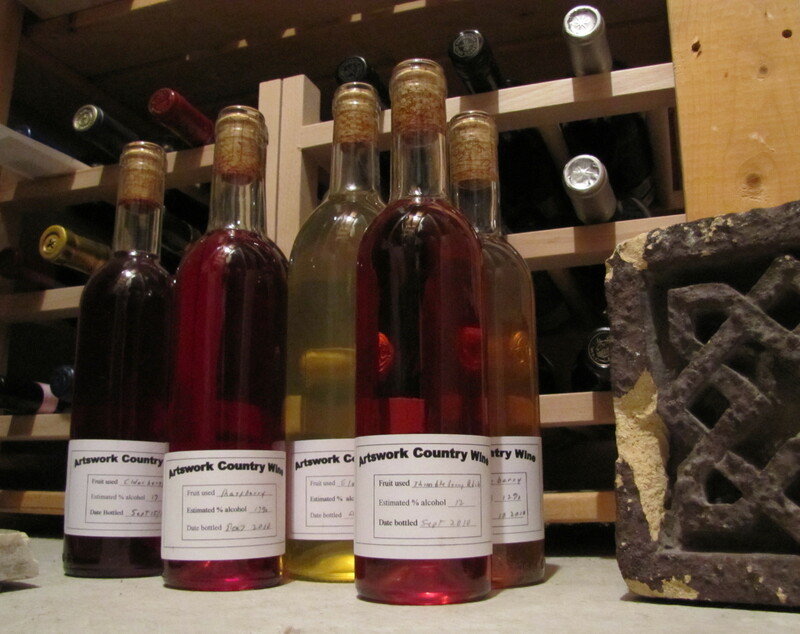 Most of these wines should be familiar. Port , Burgundy, Sauternes, and Champagne are still the commonly used names for wines from their respective regions. Claret is the British word for Bordeaux. The winner of golf’s British Open wins the Claret Jug – which is an actual wine jug made of silver and glass – and considering the Brits fondness for Claret probably gets used quite a bit for that purpose. Rhenish wines are dry white wines from the Rhine river valley in Germany. These aren’t easy to find on the shelves where I live. It’s interesting to me that my favorite regions, the Rhône and Rioja, aren’t on the list. That tells me that wine recognition and popularity changes. There was a time when the sweet Malaga wine was considered the world’s best. 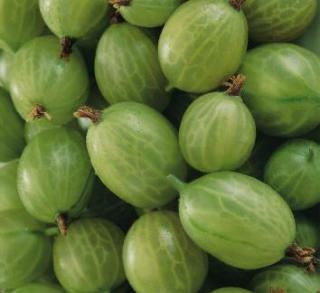 Now you probably can’t get it outside of Andalucia. I wonder what the world of wine will look like in 80 years time? Meanwhile, I need to get my short game in order if I am to win the British Open and drink from the Claret Jug. I didn’t know I liked Rye. The only time I’ve ever seen it was as Crown Royal served with Coke and I’ve never really been interested in that. PROOF is a Rye whisky marketed in the coolest drug store style 500 ml bottle on the shelves. I admit that the cool bottle is what caught my attention but it was a recommendation by Billy Munnelly that closed the deal. I trust Billy with everything from beer to espresso so I gave it a go. I drank it at room temperature neat – really good. I drank it “on the rock” (1 ice-cube) – fantastic. The bottle makes me feel like I am doing a little Chemistry at home. Hey, I think I just found a way to keep Chemistry relevant again (read Champagne Science). Rye is Canada’s spirit. It isn’t complex like Scotch whisky and it doesn’t have the deep smokey character of Bourbon but it is a spirit with expression. It reminds me that I am Canadian without the embarrassment of Crown Royal products hanging around my house. The blend of Canadian prairie rye and wheat is distilled with pristine spring water from the Canadian Rockies. It is then aged to perfection in charred oak barrels, to create its sophisticated sweet and smoky flavours. “What wine do you recommend for the Superbowl?”. I have been asked this question all week and I refuse to make a recommendation. Why? I actually have several well-thought out reasons. 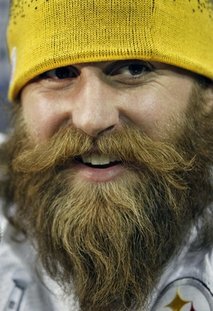 Steelers’ Pro-Bowl defensive end Brett Keisel for one. Really, does this man look like he drinks wine? Maybe I am overstereotyping (what? Spell-check says that’s not a word?) but I doubt it. He actually looks like he wields an axe in Lord of the Ring conventions in his spare time – or eats grizzlie bears, but certainly not a red wine guy. Reason two – If I am going to recommend anything with the Superbowl it’s going to be shampoo. 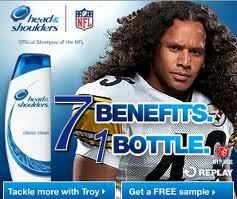 Steelers Pro-bowl safety Troy Polamalu already has a Head and Shoulders sponsorship (and I bought some this week) – but I am really waiting to see what hair product gets on board with Clay Matthews Jr. – that’s hair that I can both relate and aspire to. So here I am distracted again. The question was “what wine do you pair with the Superbowl” and I end up talking about the three guys in the Superbowl with the best hair. Oh and Clay Matthews Jr, your Dad’s the reason I don’t cheer for the Steelers. Go Browns. Red Guitar Wine from Spain is my newest value red wine – Olé (Spanish for “there you have it” – loosely translated). 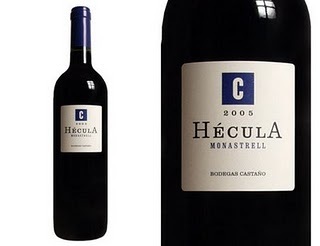 It is a classic Spanish Rhone style wine – Tempranillo and Garnacha – and is very tasty – Olé. Normally I like Spanish Rioja wines that remind me of a dry, hot summer. However, this one from Navarra is refreshing and interesting -Olé. Rich and smooth but not too easy or sweet with medium tannis and a slight funky odour that isn’t unpleasant. Besides, I like the funk – Olé. 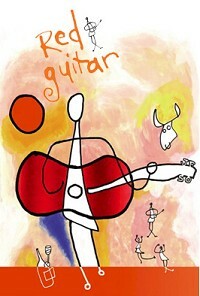 The website has a great musical flash intro page at redguitarwines.com (click the hyperlink to listen). The Red Guitar that is playing is fun to listen to and my wife likes that fact that at no time does a Gypsy King start singing at you – Amen and Olé. Whenever the winemaker has a great description of their wine I use it – they know more about it than I do – Red Guitar brings the style and excitement of Spain to life. From grapes grown on up to 100 year-old vines in the ancient kingdom of Navarra, Red Guitar delivers rich flavors and remarkable complexity in every glass. 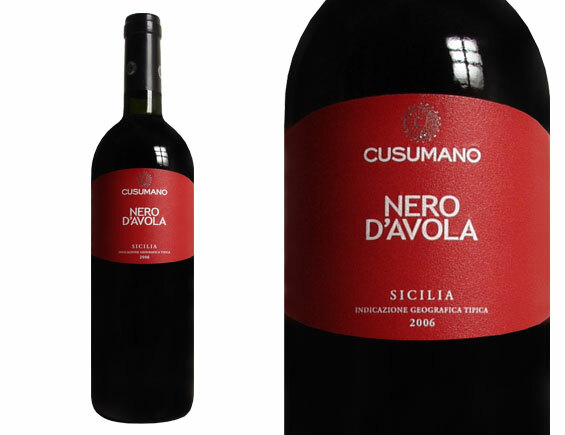 It is a wine that sings of the land of the bullfight, tapas, and the art of living well.